In the decades since President George H.W. Bush pledged a goal of “no net loss” of U.S. wetlands, this uniquely American mix of conservation and capitalism has been supported by every president since then, growing the market for wetlands mitigation credits from about 40 banks in the early 1990s to nearly 1,500 today. Investors include Chevron and Wall Street firms, working alongside the Audubon Society and other environmental groups. 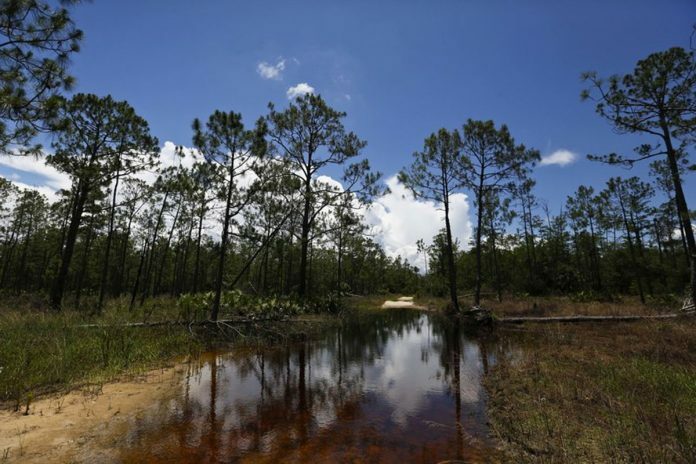 “It would destroy wetland mitigation banking at the federal level,” said Royal Gardner, who specializes in mitigation banking as a professor at Florida’s Stetson University College of Law. The EPA said it is close, but hasn’t set a date. The Associated Press is the first outlet to comprehensively report on the potential harm this proposal could bring to the billion-dollar industry. The EPA did not specifically address the AP’s question about how redefining waterways could affect wetlands mitigation banks. Wetlands are protected under the Clean Water Act because they are vital to the nation’s water quality. Their dense vegetation helps filter out toxins as water flows through. 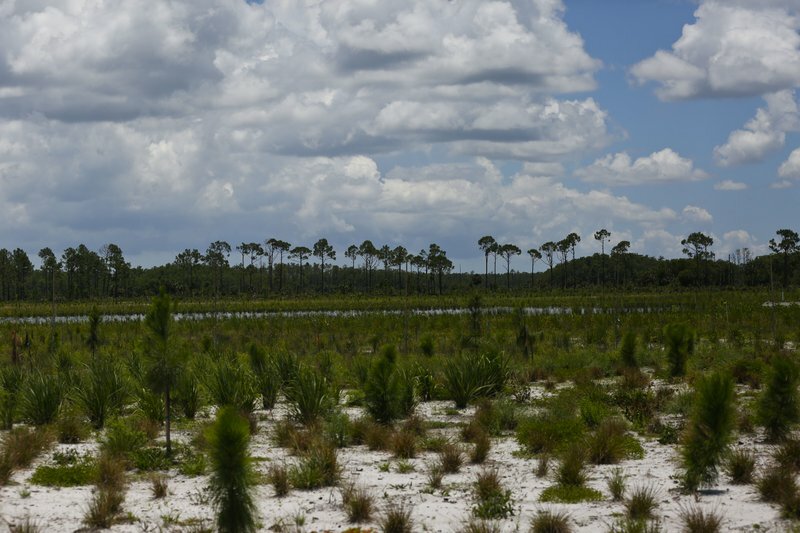 Wetlands provide key fish and bird habitat, and protect coastal land from hurricanes. Mitigation banks are not a panacea, but they are the government’s preferred method of protecting wetlands from damage from development, a preference that has fueled the market for mitigation credits. The system began decades ago under the U.S. Army Corps of Engineers, but it initially wasn’t well designed, and the market failed to take off. That began to change after 2001, when a National Research Council study offered recommendations for fixing it. Researchers identified a chief problem: The Corps let developers alone design and build the restoration projects, even when they lacked the necessary expertise. Some projects failed to replace what was lost or lacked long-term maintenance plans. The Corps and EPA drew up new rules in 2008 that revamped the system by requiring developers to collaborate with conservation experts, and to get the science right before selling any credits. Since then, the market has seen its biggest growth, with innovative projects proving to be both profitable and ecologically sustainable. 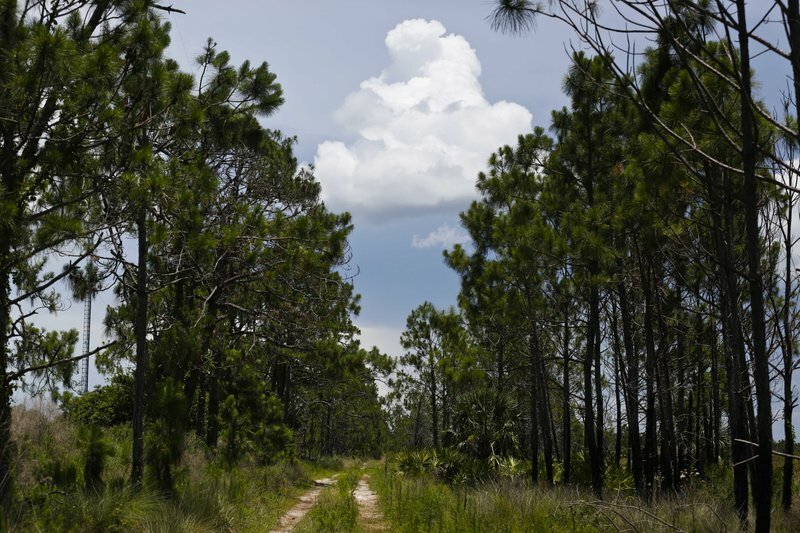 Panther Island was designed with the help of Audubon, which manages the neighboring Corkscrew Swamp Sanctuary, and the society will continue managing the land after all the credits have been sold. The country is still losing wetlands, but mitigation banking has shown promise in at least slowing this loss. There is no national-level data that shows how close mitigation banks are to achieving the “no net loss” goal. But Corps permit data show that from 2002-2015, when the agency allowed about 350 square miles (906 square kilometers) of wetlands to be filled, developers were required to purchase about 800 square miles (2,070 square kilometers) of compensatory mitigation credits, mostly from banks. The Obama administration sought to strengthen this system by including more wetlands as protected waterways under the WOTUS rule, and investors responded positively, because sustained government support reduced the market’s risk. Now, with Trump’s order looming, investors are unclear on the future. “If fewer wetlands and streams are (protected), fewer impacts to these resources will be regulated and less compensatory mitigation will be required. This will put a damper on the private restoration industry and lead to a net loss of the important function and services that wetlands and streams provide to communities and wildlife,” said Jessica Wilkinson, a senior policy adviser at The Nature Conservancy, which sponsors 13 wetland and stream mitigation banks in five states. Trump’s order directs the EPA and Corps to consider adopting the late Supreme Court Justice Antonin Scalia’s 2006 definition, which extends Clean Water Act protections to non-navigable waterways only when they are still covered by water year-round and connected to navigable rivers, lakes or streams. Using this far more restrictive definition could remove many waters from federal oversight, and hit mitigation banking hard, experts say.